I received this book from Penguin/Viking, and was eager to read it because I had read Gremillon’s book The Confidant, which was quite a page-turner. However, once I changed to the paperback ….didn’t this transform into quite the compelling page turner? When you open the pages of Lisandra P., you will clearly see why this is a novel that needs to be read in its tree format. Why an audio production was made for this is baffling to me. There is SO MUCH that is completely lost in the audio format. 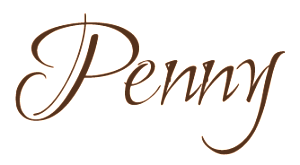 This book comes stacked with changes in font, footnotes, a large part of the story is told/formatted as transcripts, and the overall structure and the manner in which the text is printed on the page compels you to need to read this in paper format. Some pages have but one sentence on them. There are even pages with musical scores (how the heck is that going to be handled in audio?) and pictures of tickets and advertisements. Indeed, the footnotes were not read in the audio production and without these, there was a tremendous amount of translation and historical context lost. The story, the shortness of Eva Maria’s sentences, the flow, just works and it works very well when reading the paper format. Another surprising thing in respect to the audio production, is that it is a male narrator. So much of this story is based from the perspective of Eva Maria. Why have a male narrate this? So, where this book fails as an audiobook, it shines in its paper format. 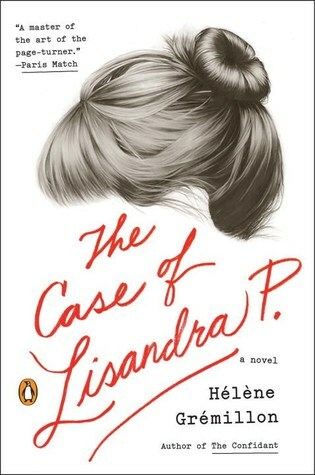 Just as Germillon wrote in The Confidant, The Case of Lisandra P. is another great page turner! However, The Case of Lisandra P., is on a vastly different topic than The Confidant and is based on a true story. It contains information about a time in the history of Argentina that I knew nothing about until reading it here. While Eva Maria combs through the taped sessions and calls our attention (and Vittorio’s) to three patient’s files that she has transcribed she considers to hold the strongest motives for the murder, she also uncovers the files of those that may be responsible for her daughter’s disappearance. As the story continues, you start to realize you may be dealing with two potentially unreliable narrators here. Vittorio develops into an unlikeable character as well, and that comes through clearly in the tapes Eva Maria is transcribing, but there is also Eva Maria herself to consider. Why is she the one helping to solve this case? What is at stake for her in this case? It then fairly hurtles to a startling conclusion! But is it so startling? Might you have anticipated these developments? Was this how you kind of figured it out to end? At any rate, its ending is a shocking one, it disturbs, it is unexpected and it keeps you turning it over in your mind well after finishing the story. Overall, this was a great book to have read! At first I fully intended on shrugging this one off as a 2-star read when I first turned away from the audio and into the paper version. But once seeing how the book was structured and formatted, and then settling into reading it, it turned into one serious page-turning and compelling read. One that was hard to put down once I started reading. I’m planning on handing this one over to a member in our book club because I think she’ll get as much enjoyment out of it as I did.